We're Going To The Zoo, Zoo, Zoo How About You, You, You? A favorite Christmas tradition of ours is taking a trip to the local zoo - BR ZOO! We decided to go the week before the last knowing we would have to keep the girls out a little bit later than usual. I knew it would be worth having their schedules a little off so they could see the lights. I feel like this is what good childhood memories are made of … I hope so anyway. The night started with the typical mom prep packing an extra bag with snacks, diapers, more snacks, extra socks to be used as mittens. Why socks you ask … we live in south Louisiana where cold days are few and far between, not sure if you can even buy a pair here. So needless to say socks are the next best bet. Smart right, ha mom win! As for myself, I have zero "near below freezing" warm clothing. Which means ... layer, layer, and layer some more! Also over my shoulder housed two thick blankets for good measure. After we all ate dinner we loaded up into the car. I had no idea how magical putting both girls into the car at night without their window shades on would be. It was a whole new experience for them, no stars because it was a very cloudy night but the building, car and street lights just excited the kids. Not going to lie it excited me too. I desperately needed something to switch up the norm and just do something different. Getting out after dark to see Christmas lights, let's be honest, will get most people out of a funk. My youngest just turned 6 months old so that means 6 months of not being in the car at night. It is just the season of life we are in. The drive to the zoo is pretty far so there was a lot to see and a lot of time to sing. My three-year old's favorite song was … Que the title of the song. “We're going to the zoo, zoo, zoo how about you, you, you? You can come too, too, too! We're going to the zoo, zoo, zoo!” I apologize if that song is now stuck in your head. As we pulled into the zoo parking lot we were greeted with a taste of the lights you will see inside. We loaded the girls into their stroller with all of their layers and thick blankets and we were off. PS tickets are cheaper for the lights. First off let's just take a moment to appreciate being in the zoo after dark. It is an experience like no other. Animal shaped light displays, lights lighting the path you have to stay on, it's pretty cool. When you first walk through the BR Zoo gates you have to walk across this bridge which leads you to the start of the lights. Two toy giant soldiers were greeting you as would cross over. One of the first exhibits that stuck with me were mountain goats. We walked by and out of the corner of my eye, I see something jump/climbing up a large rock to my left. Scared the sh** out of me! Umm for some reason I just assumed all of the animals would be taken to a large barn on the property to sleep at night. Yea, spoiler alert, that is not how it works. A large portion of the animals stay in their habitat space, some needed heaters and some had a room connected to their habitats so they could sleep out of the cold. We got to see a few parrots, larger birds that I cannot remember the names of, goats, deer, and a few zebras. Did not expect that. 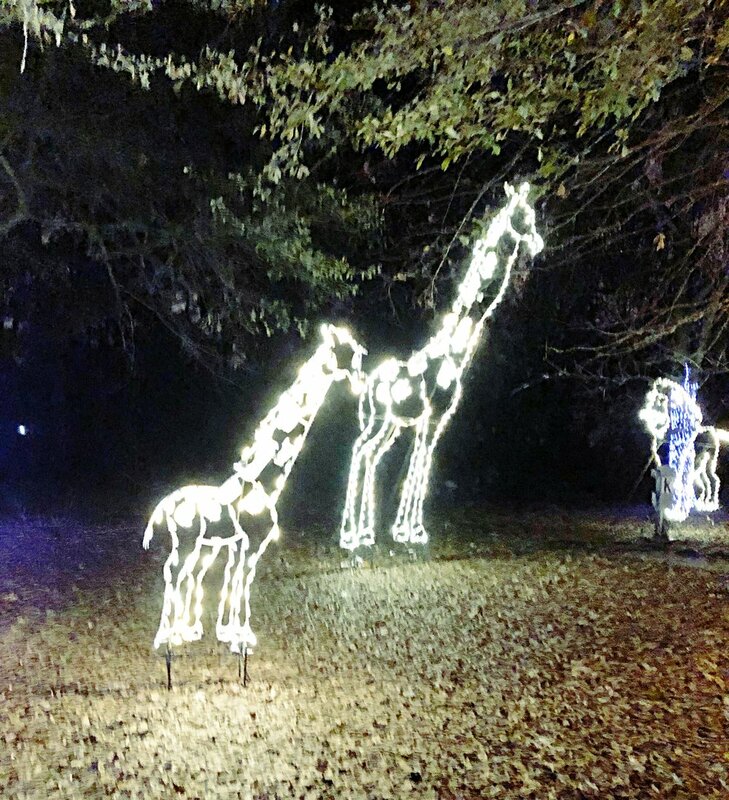 Anywho the zoo was filled with gorgeous lights throughout the walk and had some beautiful zoo animal displays. I highly recommend bringing your loved ones here this month. It will not disappoint. Something about walking through lights vs. driving through them. 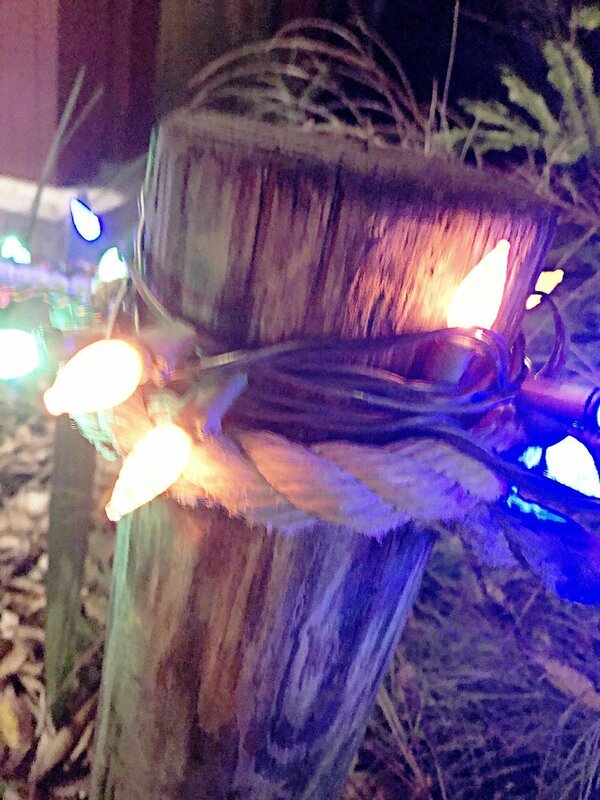 What are your favorite ways to enjoy Christmas lights? 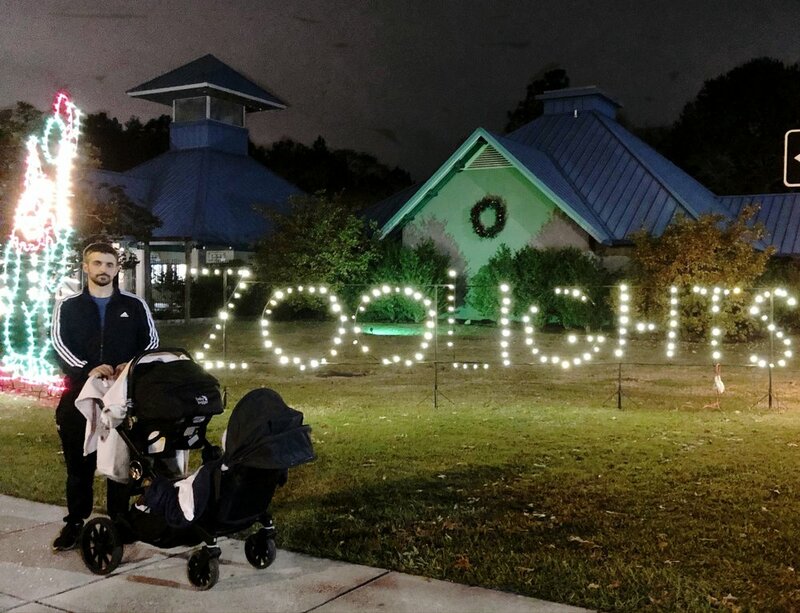 Have you visited the BR Zoo for the lights? 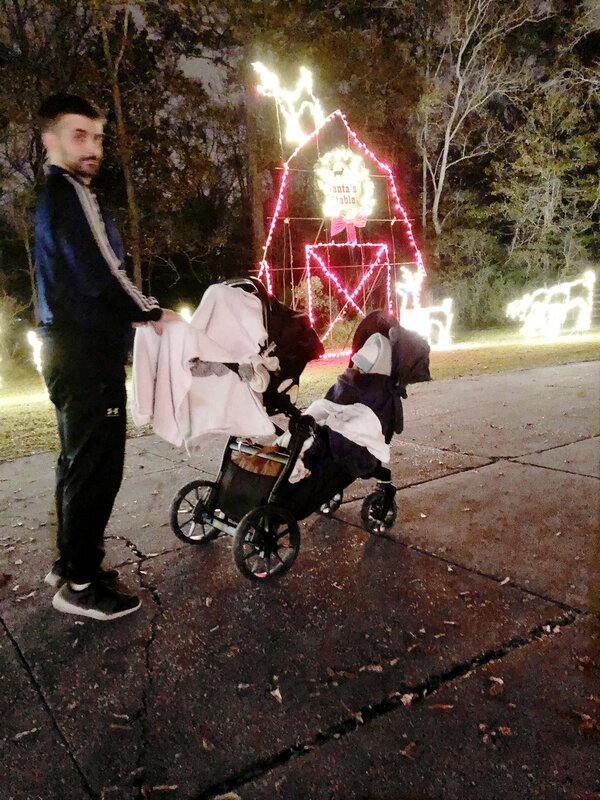 If you live near Baton Rouge do you have a favorite place to look at Christmas lights? Why because I would love to check those locations out! Pregnant? Now what should you do?